The Braun Series 3 is the perfect product for men who don’t shave over the weekend and find the Monday morning shave a particular challenge. The Series 3 brings Braun’s Triple Action Free Float System to the mid-range shaver market, delivering high performance cutting of short and long hairs in one stroke while minimising skin irritation. The 3-380 features Wet & Dry functionality, giving men the versatility of using it in the shower. The perfect gift to guarantee your man is silky smooth for that all important mistletoe kiss. "I have never really used an electric shaver before because I don't like to shave everyday. 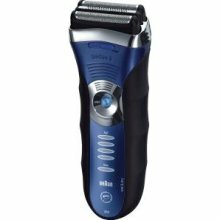 When I was asked to review this particular shaver I was intrigued - I had seen the ad and knew you could use it even when you had a weekends regrowth. It worked great until I tried to do what I do with my manual shaver - trim my over-zealous sideys. This shaver did such a good job that it took them clean off, leaving me looking a little silly to say the least. It does a great job on the facial hair and left me silky smooth in minutes but beware of unintentional side-burn removal, I'm currently looking like a monk." 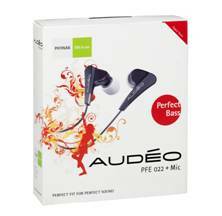 Audéo Perfect Bass earphones are fitted with specially designed, in-built filters that ‘tune’ sound waves to boost low frequencies and provide cleaner bass tones. The result is a punchier more exciting output, that doesn’t compromise on the overall sound quality. Includes three sets of interchangeable, silicone ear pieces – each ergonomically designed to sit comfortably in the ear, even after hours of use -this extra secure fit reduces unwanted external noise by up to 23 decibels – the equivalent of ambient music in a restaurant or background conversation. "I use my i-Pod everyday on the train to work and have been using the headphones that came with it. I'm now using these and they are very comfortable to wear, they cut out outside sound exceptionally well and give very clear reproduction of the music that I'm listening to. I would highly recommend them. I have paid a similar price for head phones in the past and they match if not better the quality of those. Well worth the money if your listening to music regularly." An affordable way to introduce a loved one to whiskey, this gift pack features 4 minatures, each containing a contrasting whiskey and a flavour map which provides a guide to tasting malt whiskies. 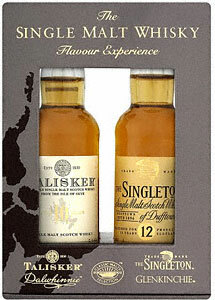 "Despite the description, I can assure you that I am no whiskey 'beginner'! Over the years, having the worry of children and grandchildren, meant that whiskey became my old friend! It's a nice gift that I wouldn't grumble at but for that price I'd rather have one big bottle!" 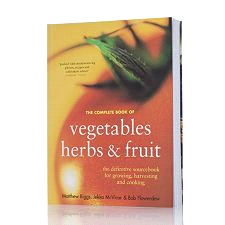 If you're interested in growing your own, then the Complete Book of Vegetables, Herbs & Fruit will be right up your street! Complied by gardening experts Bob Flowerdew, Jekka McVicar and Matthew Biggs, this 640-page volume covers over 100 herbs, 70 vegetables and 100 fruits, with advice on cultivation, propagation, harvesting, dealing with pests and diseases, plus culinary, medicinal and cosmetic uses for each variety. "I've only just recently got in to gardening and this is the first year I have 'grown my own'. I have struggled, being a bit of a novice, but I feel like I've learnt so much from this book already and I'm not even half way through. There are hundreds of pictures and lots of recipes too. I can't wait for this cold weather to go now so I can start my crop! A lovely book, would make a great Christmas present." These Novatec anvil secateurs have a revolutionary new cutting action with an integral roller and an extended blade that makes them far more powerful than other secateurs. This system means you can cut thicker branches with far less effort. They have a light but strong aluminium frame and high-quality SK5 steel blade to give a clean, precise cut. 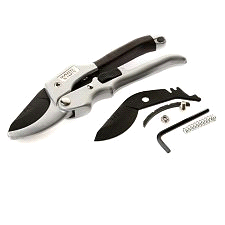 The secateurs have an easy-action safety catch for left or right-handed operation. "I'm embarrassed to say that the secateurs we use in out garden actually came with the house and have probably never been sharpened. It was so nice to get in the garden with these - they cut through even thick branches with ease (rather than just bending the branch like our antique ones). It's great they come with a spare blade so we can just replace when we need to without buying a new pair. I would never have thought to give these as a gift but it's a great idea for a keen gardener." "I work as a delivery driver and my other half is always banging on about me stealing her pens. They never seem to work for me when I'm out and about so I end up just putting them in the bin. 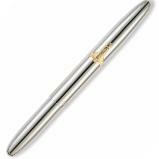 This pen is brilliant for me - I have to write out cards whilst leaning against walls and usually it takes ages to get my pen working in the cold and at that angle - but this works no matter what. I can't fault it and it's cut my delivery time!"